This weekend Spain appeared to be at its most important crossroads since democracy was restored forty years ago. 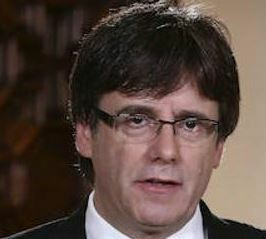 Despite attempts by central government to disrupt the unconstitutional referendum on independence organised by the Catalan regional government, the vote which went ahead anyway last Sunday has spurned regional leaders, led by Carles Puigdemont, to carry on with their plan to convert Catalonia into an independent state. What happens next in Catalonia is likely to be clearer on Monday when the Catalan regional parliament is due to meet for the first time since the illegal vote. Although Spain’s constitutional court has put a temporary ban on that meeting as well, separatist MPs, who hold a majority, are still expected to attend. Posted on Oct 9, 2017 Oct 8, 2017 by Inglés MálagaPosted in Reading, VocabularyTagged aprende ingles malaga, b2, c1, C2, news, politics.